HOW COOL IS THAT?! Let’s break that defination down: is God strict or thorough in the performance of duty? YES! We see that through the cross! Is God true to one’s word, promises, vows, etc? ABSOLUTELY! Steady in allegiance or affection? YES: God is the only constant we can ever know! Reliable, trusted, or believed? 100%! Adhering or true to a fact, a standard, or an original; accurate: a faithful account? YES. YES. YES. YES. AND YES. I challenge you all to go through and read your bibles with this truth in mind. You will see why I answered those above questions the way I did, and you will see God as the true God He is. At this point you’re probably wandering why I called 2013 a year of God’s faithfulness, or maybe you’re not wondering at all, but go ahead and sit back and relax because I’m going to tell you anyways. This year, I saw MANY prayers answered, and I never sat back and actually realized how much God had been at work. So now I am, and I decided to write a blog to do so. This year FLEW by. Like really flew by. As in even trying to put it in words feels like trying to capture a tornado. This year I heard a calling from God to tell the nations about his word. So, I made an appointment to talk to a pastor from my church who is head of their missions. The meeting was over spring break, and I walked in expecting to be told that since I was a student attending college 3 hours away and not going to the church every Sunday I couldn’t go. And I was okay with that .What I wasn’t expecting was to walk out of there with plans to go to Haiti….. but that’s exactly what happened. The entire time I was preparing for Haiti I kind of expected that something wouldn’t work out. That God never had traveling to another country in His plans for me, and I just mistook my desires to travel as a calling. But, slowly by slowly it started working out. I randomly got a $1,000 scholarship at school, and therefore was able to put money towards my trip. Then, I sent out support letters to friends and family, and again, expected for no one to send anything, or that they would only tell me not to go. But, the support I had from them was beautiful. Even when I had everything together, I still expected that it wouldn’t work out and therefore didn’t actually attempt to learn Creole (BAD APPROACH). 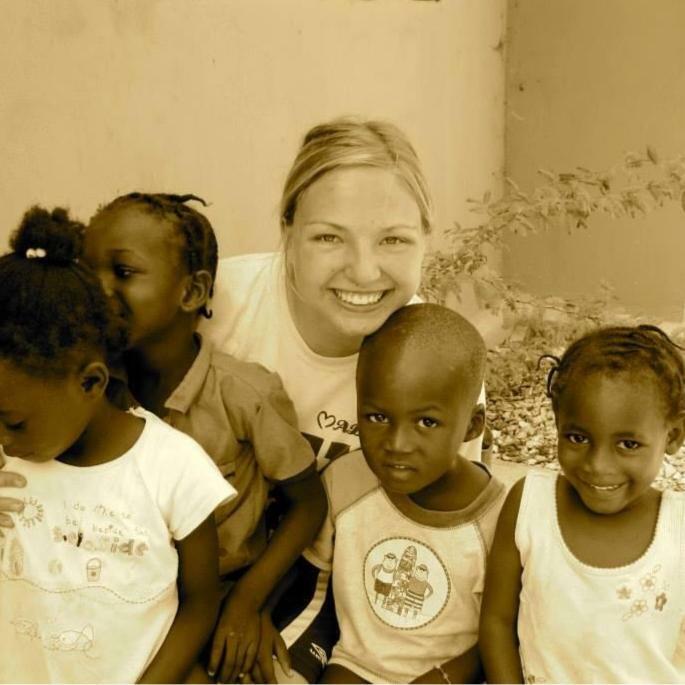 BUT, God was faithful, and in June I went to Haiti. God used this trip to change so much in my life, much of which I’m just now realizing. The people I met in Haiti really do hold a special part of my heart, and I hope to return to see them. My time in Haiti will be a post for another day, but for now I just want to stress the point that GOD MADE IT POSSIBLE FOR ME TO GO. HE WAS FAITHFUL. My trip to Haiti wasn’t the only time I saw God move in BIG ways though. At this time last year, I thought I heard a calling from God to bring Young Life College to Ohio University. That was a task that seemed impossible, and even though I had such a yearning to see it come true, I didn’t know if it actually would. But, my boyfriend and my friend Jessie seemed on board with the idea- Jessie had even been shadowing Young Life College at different colleges prior to then! And so, I started going to leadership weekly with Young Life. And then I met their new area director, Tom, and his wife, Kami. And then I realized that they both had HUGE hearts for college ministry. And then Tom started throwing the idea around for a college ministry. The idea seemed far away, and something that would never be executed. But, once I came back to college that fall, I heard that it was something that we were actually going to do. So I went with a couple interested friends to a weekend trip with 15 colleges that had Young Life college- and it was so much fun! I started to see that this could be something that we could actually do at OU. 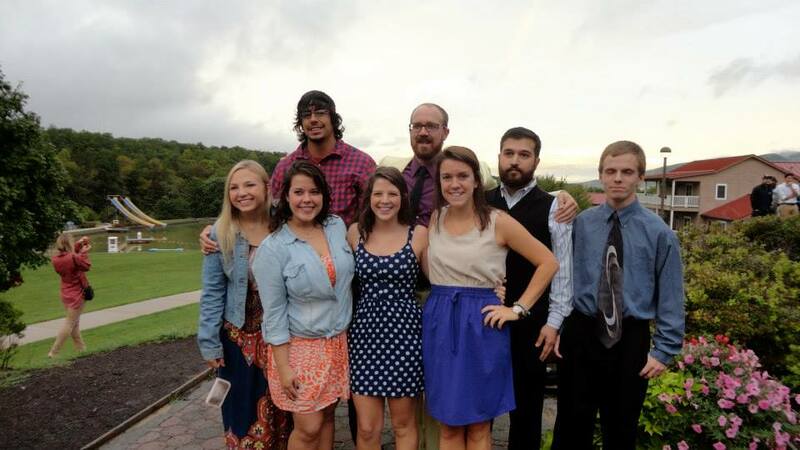 My friends at I at Rockbridge College Weekend. I came back from that weekend ready to tackle this ministry. And our first couple weeks were really promising! I even gave a talk to a crowd of 60 people! But then, times got hard, and I started to doubt that this was the right thing to do. Was another ministry actually needed? Should a sophomore be a part of this, or should I wait? Am I even the right person to ever do something like this? But what I once again found was God’s faithfulness. 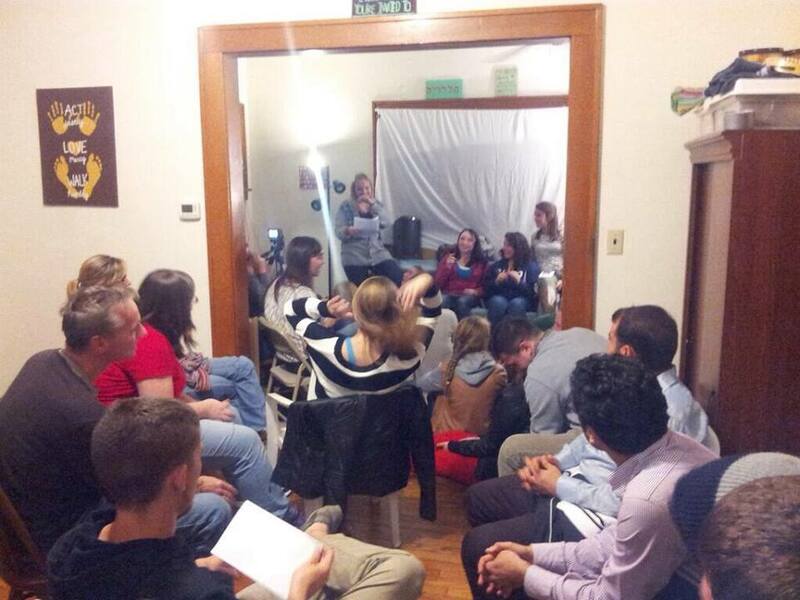 I have seen 3 people turn their lives back to God through OhioYLC. And for me, that is so awesome! God’s favor is on this ministry, and He is the Once making things happen. I am just in AWE of everything He has done! Me speaking at a Ohio Young Life College meeting! These two events are only reflections of the true nature of God. When He says He is faithful- He sure isn’t lying! Grab onto that Truth and use it to transform you. As I head into 2014 I know I have the help of a God who’s got my back! He leads us on paths of righteousness and our only job is to be LOVED by Him! And to let the overflow of that love be reflected back onto Him and onto others! I have NO IDEA what this next year will look like, but I do know that HE IS IN CONTROL.